Topping Plovdiv’s list of attractions are its trove of Roman antiquities and the cobbled streets of Old Town, lined with colorful 19th-century mansions in the National Revival style. (Image by Nikola Belopitov from Pixabay ). Plovdiv pride itself in being one of the oldest cities in Europe. Archaeologists have discovered pottery and other objects of everyday life from as early as the Neolithic Age, showing that in the end of the 7th millennium B.C there already was an established settlement there. The city of Plovdiv is situated in southern Bulgaria. During its long history it has been conquered by numerous peoples: Thracians, Macedon, Romans, Byzantines, Bulgarians, Ottoman Turks which contributed to the city’s various historical heritage. The Slavs had settled in the area by the middle of the 6th century, changing the ethnic proportions of the region. With the establishment of Bulgaria in 681, Philipopolis became a border fortress of the Byzantine Empire. Under the rule of the Ottoman Empire, Plovdiv was a focal point for the Bulgarian national movement. During that period Plovdiv was an economic center along with Constantinople, Odrin and Thessaloniki. Due to trade, the emerging Bulgarian bourgeoisie became significant in the society. After Unification Plovdiv remained the second city in population and significance after the capital Sofia. The first railway in the city was built in 1874 and after 1888 it was linked with Sofia. In 1892 Plovdiv became host of the First Bulgarian Fair with international participation which was succeeded by the International Fair Plovdiv. After the liberation the first brewery was inaugurated in the city. Plovdiv has hosted specialized exhibitions of the World’s Fair three times, in 1981, 1985, and 1991. Bulgarian cuisine, with its Turkish, Greek and Slavic influences, provides the perfect accompaniment to a bottle of local mavrud. In Bulgaria, meals are supposed to be enjoyed in company, and most Bulgarians relish the opportunity to introduce foreign friends to the pleasures of homemade banitsa, or rakia. Discover Bulgarian history, cuisine, and winemaking when you travel from Sofia to Plovdiv and the Thracia Valley. Spend the morning strolling through Plovdiv Old Town, a UNESCO World Heritage Site, then visit a few lovely and secluded vineyard for a guided tasting. Tourism is a growing industry with the rich cultural heritage of the province and the numerous mineral springs which are of international importance. Topping Plovdiv’s list of attractions are its trove of Roman antiquities and the cobbled streets of Old Town, lined with colorful 19th-century mansions in the National Revival style. Plovdiv abounds in museums and art galleries and it’s calendar of events is richer this year than ever as the city take center stage as a European Capital of culture. The economy of the province is of great importance. The agricultural production is intensive and efficient with high levels of irrigation. Industry is very well developed as well producing ferrous metallurgy near Plovdiv; thriving electronics industry in Plovdiv, Saedineermelons, vegetablesnie, Voivodinovo, Radinovo and other villages in the area. Encouraging One Another in the Lord! Thank you for lifting us up continuously in your prayers and for your support in our global ministry in partnership with you. We are grateful you have stood with us in all our travel to conferences and to visit and encourage our colleagues ministry. We thank God for His protection. We do not take our safety for granted! We were reminded of this again when we heard of the crash of the Ethiopian Airline six minutes after takeoff from Addis Ababa to Kenya. We have been on the same type of aircraft with Ethiopian Airline in both December and January. Please pray comfort and peace for the families of all 157 people who lost their lives on the ill-fated flight. 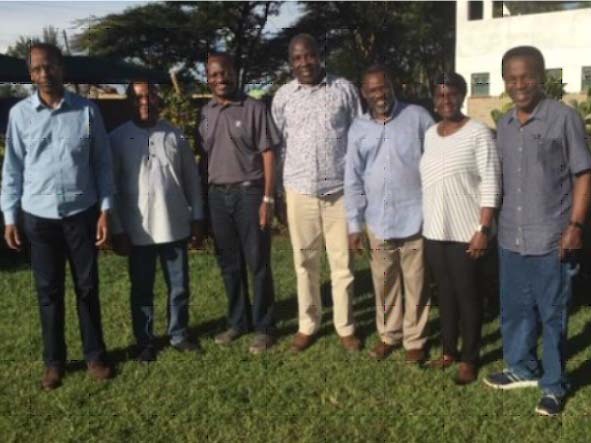 We had asked for your prayers as we gathered with our new global and regional leaders in Nov and Dec in Kenya. THANK YOU for praying. It was a time of learning together, listening to God together, and getting to know one another. The most significant outcome for us personally was our leaders’ commitment to live and to lead based on leadership values rooted in Scripture. Pray that we will live up to the standard of godliness, righteousness, purity and servanthood that we set for ourselves before the Lord. With the generous gift from a couple who have been our friends and cheerleaders, we were able to spend five days of rest in Ethiopia. What a privilege to visit historic sites, churches cut into rock that date back hundreds of years, and ancient sites such as Axum. It was our best 25th wedding anniversary gift, and we are truly grateful for their generosity. We returned to Kenya to meet with our colleagues—other Africans who lead international missions. This was an opportunity to encourage one another, pray together and hear from the Word. We shared glimpses of what we are learning in our roles and issues we are facing, in order to learn from one another. The manager of BTL Christian International Conference Centre where we met invited each leader to plant a memorial tree. He then also invited us (Joshua and Joanna) to plant a tree to commemorate our 25th anniversary. 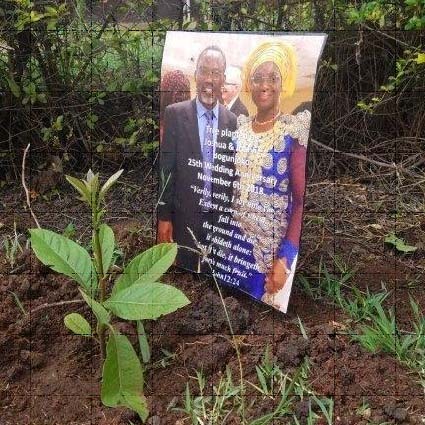 When you are at BTL in Ruiru, Kenya, you may find an avocado tree with our picture next to it. We spent the end of the year with Joel, some SIM US recruiting team members, and over 10,000 students at Urbana 2018. At the SIM exhibition booth, we answered questions and prayed with many students seeking guidance about God’s calling into His mission. Please pray for these students. The journey is daunting for many, but they are trusting the Lord, and we are too. We were in South Africa for Evangel Fellowship meetings in January. This is a gathering of leaders of churches that have come out of the work of SIM in many countries. Over 14 years of bi-annual Evangel meetings, Joshua felt this was one of the best in terms of the quality of discussions. Many churches face significant challenges; they realize their need for one another more than ever. Please pray for church leaders in contexts that increasingly challenge many things the church stands for theologically. We were also blessed to spend time with the SIM team in Burkina Faso. This team is really feeling the impact of increasing terrorist activities in that part of West Africa. They are now almost totally confined to the capital city and many Christians feel increasing unease in rural areas. Please pray for courage amidst these countrywide security risks. Our time in Mali was amazing. This is a country where Al-Qaida in the Maghreb has done great damage over the years, yet it was a most refreshing visit for us. How encouraging to see the small SIM team engaged in an unbelievable number of ministries. Two church plants are underway in a rural area outside the capital, as well as children’s feeding program. They have also completed research into a potential outreach among the Moors, Fulani, Soninke, Shonghai, and the deaf—all people who are unreached in Mali. Three families from Ethiopia and a single man from North East India are starting French language studies in Bamako, with plans to serve with SIM among the Fulani in Niger, Mali and Guinea. How encouraging! Please pray we will be able to come alongside them in this amazing vision of seeing a witness for Christ among people who have never heard of Him. Time with our SIM Guinea team was encouraging. It was great to be back in Guinea after about eight years and to see this team growing. How refreshing to spend time with about 50 university students in Guinea. Many have lots of questions about their future, a desire to serve Jesus, and a willingness to be creative and not depend on government. But they asked, “Who can help us think through these challenges and help us sort out life?” They know that many African migrants have paid the ultimate price in the Mediterranean Sea, and they do not want to follow those steps. At the same time, the present state of things in their country is bleak. They asked, “What is the church’s answer?” After three hours together, we cannot say we had answers to all their questions, but we are grateful for the opportunity to spend time and learn together. After a quick three days meeting with the International Directors of some of SIM’s collaborating mission agencies, we went on to Germany for SIM Board of Governors. We remain truly grateful for the godly people on our board. Joshua feels blessed to serve under the guidance of people who are totally sold to Jesus and are only concerned about God’s Kingdom and the Good News of the love of Jesus among the nations. Joshua spoke at First Presbyterian Church in Augusta, Georgia, the first weekend of March where Genn and Margie Betts generously hosted us. We are truly grateful for their kindness and hospitality. 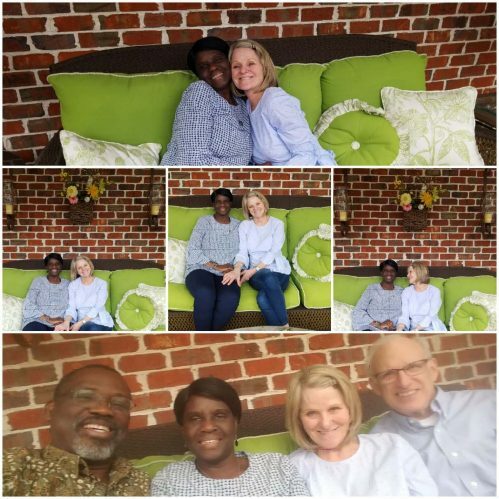 We also reunited with long-time friends and colleagues Don and Jenny Townsend from Galmi, Niger, and Allen and Marge Peltier from Egbe, Nigeria, as well as other SIM missionaries in the area. Last weekend, we were in Columbia, South Carolina, during the Missions Emphasis Month at First Northeast Baptist Church. Joshua preached during the service on Sunday. Praise God for these opportunities and for the privilege of sharing with God’s church what we are learning from His Word, from His work, and about His mission in His world. Please pray for Joshua’s speaking at the Rock Hill Bible Fellowship Church this Sunday, March 24. Late Sunday afternoon, we fly to the UK to join a Mission Leadership course. We appreciate the opportunity to continue to learn as we serve. From there, we go to the Ukraine where Joshua will speak at the mission conference of the Volyn Region Baptist Association. Next we will visit the SIM offices in France and Switzerland, then join Joshua’s Executive Team for a retreat in the UK. In April, we will speak in Greece to a group of SIM workers from limited access locations. From there we continue to Canada for Prairie College Board meeting. We will conclude our five-week trip with another church mission weekend in Ontario. Thank you for praying for all these trips and speaking engagements. We could not undertake any of these if we did not know that you are standing with us in prayer. No one would try without a solid backing of God’s people who pray, at least we will not. Give praise to God for restoring our children to good health and for continuing to uphold them. Pray for sustaining grace for Jochebed at work and for Joel in school. “Thank you so much for being fellow supporters of Joshua and Joanna. I’m writing in an effort to get them fully funded. Frankly, I’m of mixed mind on whether it’s a good idea for the International Director to be required to raise his own support. However, given that that is how SIM works, it seems to me that it is extremely unfortunate to have a situation in which individual missionaries are expected to raise full support while the International Director is himself substantially under-funded. It would be even more unfortunate, in my opinion, if Joshua were to spend a disproportionate amount of his time raising a relatively small amount of money for his and Joanna’s support, rather than spending that time on issues of much larger import to SIM and the Kingdom at large. As a result, when Joshua was at our house recently, I told him that my wife and I would match dollar-for-dollar any contributions that others make toward eliminating his $50,000+ deficit for this year. Thank you so much for your past support and for your consideration of this request. To date, $9,500 have been given or pledged. Please let us know if you are interested in participating. The white sandy beaches at Oneroa, Palm Beach and Onetangi slope gently down into the Hauraki Gulf and are perfect for swimming, kayaking, or having a picnic. Waiheke Island is the most populated and second-largest island in the Hauraki Gulf of New Zealand. Its ferry terminal in Matiatia Bay at the western end is 21.5 km (13.4 mi) from the central-city terminal in Auckland. In landscape, lifestyle and experience, Waiheke is a world away. The island is very hilly with few flat areas, the highest point being Maunganui at 231 m (758 ft). The climate is slightly warmer than Auckland, with less humidity and rain, and more sunshine hours. If you’re a walker, explore the island’s trails which meander along cliff tops, down to the beaches and into cool enclaves of native forest. At the eastern end of the island the Stony Batter walkway leads you to a system of World War II gun emplacements and underground tunnels. To stay overnight, rent a beach house and wake up to the sound of the waves, if you’re on a budget, go to a friendly backpacker hostel. Getting around is easy too. Catch one of the regular ferries that run to Waiheke from downtown Auckland. Once on the island, there are public buses and taxis, or you can hire a mountain bike, motor scooter or car. And if you’ve already got a car or bike, you can bring it over with you on the car ferry. Waiheke Island is only a 40-minute ferry ride from the Downtown Auckland ferry terminal. You’ll cruise past Auckland’s stunning coastlines and beautiful islands as you journey towards your destination. You can also catch the ferry from Devonport Wharf. Vineyards – Home to more than 30 boutique vineyards, Waiheke has become known as New Zealand’s “island of wine”. This group of winegrowers have successfully matched the maritime climate and ancient soil structures to produce some of the country’s best wines. Visit cellar doors, or enjoy wine and food pairings at vineyard cafes and restaurants. Food – The many island wineries are perfect for culinary indulgence. You’ll find a range of onsite options – from food pairings, to platters and casual lunch options, to gourmet meals at award-winning restaurants. Oneroa Village has beautiful cafes, gelato shops and takeaway options. For a relaxing lunch, take in sea views from The Oyster Inn’s restaurant verandah, or venture to Onetangi for casual beachside dining at Charlie Farley’s. Visit Rangihoua Estate to sample internationally awarded Extra Virgin Olive Oil, or stop by Te Matuku Oysters to purchase locally farmed seafood. Shopping – Oneroa, Ostend and Surfdale have great shopping opportunities. Unique stores are bursting with local art, gifts, jewellery, clothing and more. The Ostend Market operates every Saturday from 8.30am – 12.30pm. Beaches – Waiheke is best known for its pristine beaches, and its warm microclimate makes it the perfect swimming spot. Oneroa Bay and Little Oneroa sit side-by-side, and are within walking distance of the main village. Little Oneroa is a perfect place to spend the day, with BBQs, a children’s playground and a sprawling grassy area. Onetangi Beach features 2.5 km of beautiful white sand, plus convenient bars and restaurants at the water’s edge. Walking Tracks – Waiheke offers a number of native bush tracks, and scenic coastal walks with sensational views of surrounding islands and the Coromandel. Starting from Matiatia Wharf, the Northern Walk features the most diverse track – without venturing too far from the ferry. Follow the headland track to Cable Bay, Owhanake Bay, and Oneroa Village before completing the loop back to Matiatia. See more detailed directions for a recommended track here. Please be advised: Onetangi Reserve and Goodwin-Te Haahi Reserve have been closed to help reduce the spread of Kauri Dieback and protect the remaining native Kauri forests. For more information about this closure please visit Forest and Bird here. Waiheke Island makes for a perfect half or full day trip from Auckland. But with so much to see, it’s also a superb weekend getaway or extended holiday destination. Praising God for His goodness! We praise God for being so good to us. He has shown us His great mercy and answered our prayers. In our last prayer letters we asked you to pray for our children. They are both doing amazingly well and we praise God for answering prayers. Jochebed is doing well and shining the light of Christ as she works hard to handle the pressures around her. Praise God with us that Joel’s scholarship has been restored. This was a major point of prayer and the Lord has honored our prayers. Thank you for praying with us. Also, he has been given an accommodation in his studies to enable him to work at a healthy and suitable pace. He has a better outlook on the future now. We spent Sunday afternoon with him and were touched by his bright spirit and growing maturity. Thank you also for praying for our trips to Kenya and the Philippines which went well. We were truly blessed to be able to spend time with SIM workers in medical ministries and our team in the Philippines. We are encouraged by their dedication and commitment to making Christ known in communities where He is least known even when it is not convenient or totally “safe”. We proclaim how great you are and tell of the wonderful things you have done.” Psalm 75:1. Dr. Joshua Bogunjoko has been the SIM’s International Director since June 1, 2013. 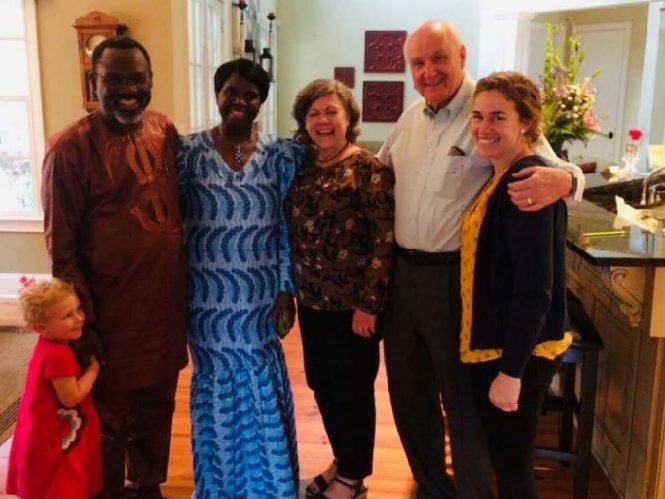 Joshua and his wife, Joanna, began their mission careers as members of the Evangelical Missionary Society (EMS), the mission arm of the ECWA church, which today sends more than 2400 Nigerians cross-culturally. They were commissioned by the national ECWA church in 1993 and their home church in Lagos in 1995, where they were sent out as seconded associates of SIM. They have served at three mission hospitals in West Africa and became full members of SIM in 2001. Joshua served on the SIM International Leadership Team since 2006, dealing with global issues related to mission. This is a short prayer letter to let you know that we are going to start traveling again this evening and we covet your prayers. We are thankful to God for the time we have been Stateside and His enablement in our work at the office. – our trip to Chiang Mai, Thailand as part of the Abide Conference, focusing on unreached Muslim peoples around the world. – Joanna who is going to San Diego for Trevor Ardill’s (a former SIM US director) memorial service and visiting Jochebed in San Francisco. – for Jochebed, especially that the Lord will relief her of allergy. – for Joel and his classes that the Lord will give him wisdom. Thank you very much for your on going prayer, love, encouragement and support. SIM’s 2017 Prayer Guide is available to all our prayer partners. Please download a copy here: https://qwipper.com/web/prayer-room/scripture-prayer-guide so you can join us in praying for SIM ministries that impact those who live and die without the gospel. We talked about the eight-hour days of touring and learning, combined with not-the-best sleep coming off of jet lag and getting used to new beds. It didn’t leave much energy for getting up to have a quiet time with the Lord, and we were both missing that. Made me think of the lady I saw in the old city of Jerusalem, down on her knees in the Church of the Holy Sepulcher. In front of her was a stone, where it’s thought Jesus was laid when they took him down from the cross. Next to her was a stack of white cloths, with a T-shirt store stamp of Jesus’ face on each one. She was grabbing cloths from the stack and rubbing them on the stone, while fervently praying something we couldn’t understand. We speculated that the lady would be selling those cloths back home to people who desperately wanted a special connection to Jesus. I remember years ago when our good friends went to Israel and came back to tell about it. Somebody asked me then if I didn’t wish I could take the same trip. My answer was no, I didn’t care to. Didn’t feel like I needed to go to Israel to have some special experience with God. Well, a week ago found me standing in the special places of the Bible stories—looking out on the same valley where David killed Goliath (note the picture of us at this site on this blog post), standing on Mount Carmel where Elijah defeated the prophets of Baal, looking at a first-century synagogue, by the Sea of Galilee, where it is highly likely Jesus would have spoken to the Jews on Shabbat. And do you know what I thought each time? Ah, so this is what it looks like. And do you know what I felt? Ah, so I was right. Seeing these things does not give me some increased feeling of intimacy with God but only gives me visual confirmation of what I have believed all along. Because back in Wyoming, when I was a kid in a little Baptist church, I was watching my Sunday School teacher use a flannelgraph to tell us the story of David and Goliath. And I was believing. With all of my heart I was believing that God used that little shepherd to kill a mighty giant with a stone. “Cool,” I said. “So cool to see.” But it didn’t change anything in my heart, because for so long—for decades—I had been opening up my Bible in the morning and reading all of these stories and leaning hard on the God who wrote them. When our tour team sat in the beautiful garden, located outside of what is thought to be Jesus’ tomb, we celebrated the Lord’s Supper together. But back in the States I had remembered what Jesus had done on my behalf before I ever touched the rock wall or stepped my foot into the place where His body might have lain for three days. So the preacher and I agreed that Israel was an indescribably rich experience, but our hearts longed for a quiet room in our own home and time spent intimately with Jesus. “Blessed are those who have not seen, and have yet believed” (John 20:29b). I highly recommend a trip to Israel, if you ever have the opportunity to go. But if it’s a deep connection with God you’re looking for, you can find that right where you are. Open your Bible and believe what you read. All of the locations and the stories and the truth are real. You don’t need to see Jerusalem or rub a stone or see some special place to know God. Only your heart needs to travel. See original article at christyfitzwater.com. Christy Fitzwater is an author and pastor’s wife living in Kalispell, Montana. She is the author of Blameless: Living A Life Free from Guilt And Shame and My Father’s Hands: 52 Reasons to Trust God with Your Heart. Find her devotional writing at christyfitzwater.com.